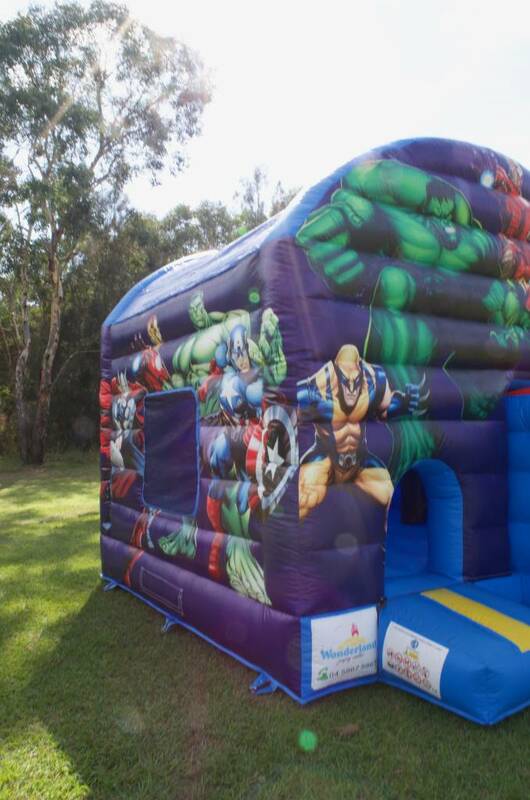 The Marvel Superheros Jumping Castle and Slide will be centre stage at your party as your superhero and his sidekicks fight to defeat the villains of their party world. It will bring hours of “goodies vs baddies” bouncing battles, hopefully enough to burn off all the sugar they have consumed throughout the party. It measures 5.5m long, 5m wide and 4m tall. It is a covered castle, protecting your children from both sun and rain. 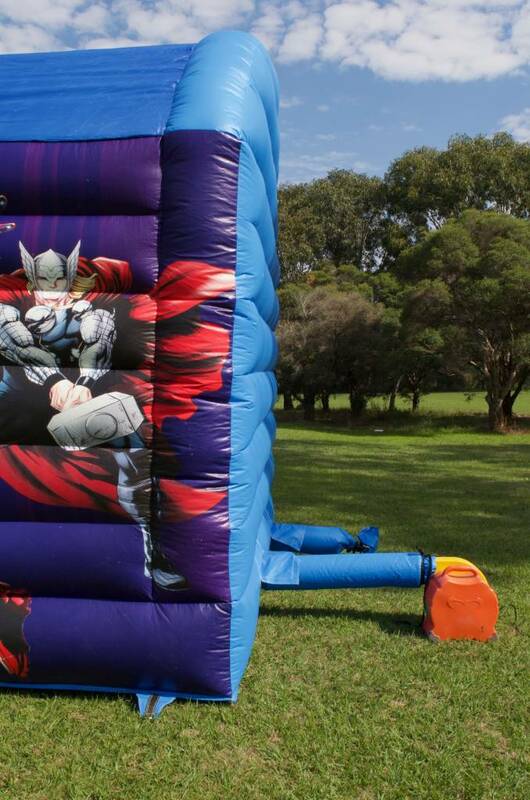 The slide is the ultimate escape for any superhero who is at the grips of their evil villain.